A classy black and white art volleyball round car magnet on outdoor quality magentic material. Purchase our Magnetic Volleyball Car Magnets. 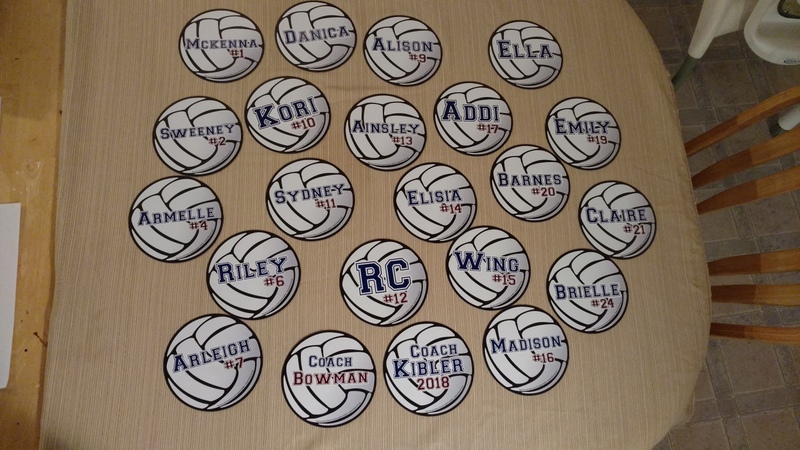 We can make Custom Volleyball Car Magnets for your team or school, too. This 6” magnetic Volleyball is manufactured and printed in the USA. We print on premium quality, super-thick (.030) magnetic material with top quality, UV protected inks. On a car surface, we suggest you remove and clean under the magnet once a week or so for long term use. We purchased these magnets for our whole volleyball team. They are a great deal for the price. High quality. Great size. We personalized them so the girls could put them in their lockers. Merchant Response:Thank you for the great review and picture. We love to see how our customers are using our products! These magnets are even better than in the pictures!! Super fast shipping !! Great quality!! Best UsesEveryone wanted one for their car! We ordered these to decorate the lockers for the first conference match. Fun for the captains to decorate, and a nice surprise for the players! Great item. Perfect for lockers. Product just as pictured. Perfect for what I needed and excellent price. I have ordered multiple times. Love the product! On game days, I use them to hang up volleyball spirit flyers on the girls lockers at school. They love them. I was very pleased with the quality and thickness of these magnets. 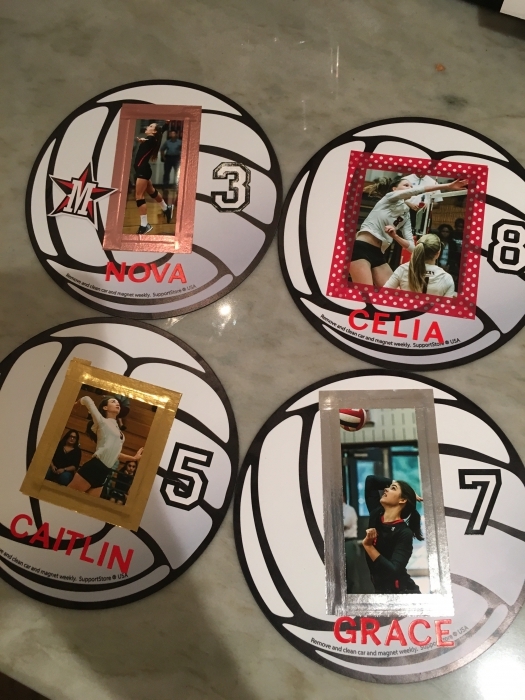 They will make awesome gifts for our volleyball girls and I will personalizing each with their names and numbers. Great find!! !